The weather in Texas has been just STEAMY lately. Last Friday, Mr. Fantastic and I went to happy hour with friends. I forgot to take my photos before the event and he forgot something at work, so we took these photos at his office when we stopped there on the way home. This is what my hair looks like after 4 hours outdoors in the humid Texas twilight. Seksy, right? 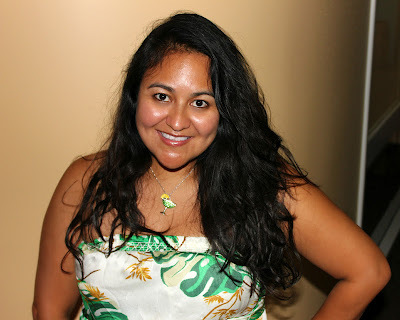 It was my first time wearing this tropical dress by The Webster Miami for The Shops at Target. I love it! I ordered the petite length and it is perfect for me at 5' tall and tall wedge heels. Also, I am a bit bustier than the fit model in the photos, so it fit me more like an empire waist dress than right at my waist, but I think I like it better this way. Maybe if it was right at my waist, it would make me look even shorter. 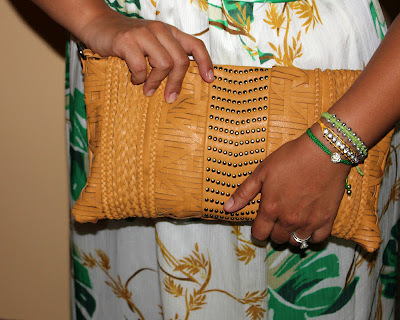 In any case, I love the silky fabric and I got so many compliments on it all night! No one believed me when I told them I bought it at Target! The price ($39.99) is a great deal for the comfort and feel of this dress. I will be on vacation starting tomorrow and posting will be erratic (so, the usual) until my return next week. I have a couple of scheduled posts and I will be on Twitter and Instagram throughout our family trip! See you on the other side! Ahh I love The Webster Miami designs! I got the light pink dress with the palms on it! You look fabulous girl! You look fantastic! 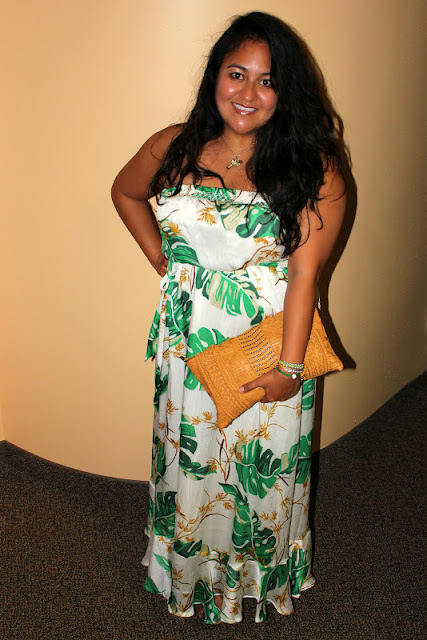 Love the tropical dress.